So today I was going to do my celebrity style steal but that all changed as soon as the Boden sale email pinged itself into my inbox on Monday morning as I just knew I needed to share with you some of the delights that are currently on offer. Can you believe that considering we've barely hit Spring Boden have a 40% sale?!!! In my book that's serious stuff. Plus for those of us that use Quidco there's an extra 5% off too - win win, in fact by my reckoning with discounts like this it would be rude not to....no?!!! Now I've never done a whole post dedicated to Boden but seeing as there are such savings to be made & some great pieces to be snapped up I thought it rude not to share my picks of their sale. Plus if you're anything like me you've probably had your eye on a couple of things at Boden & been trying to resist the urge to click for a couple of months. 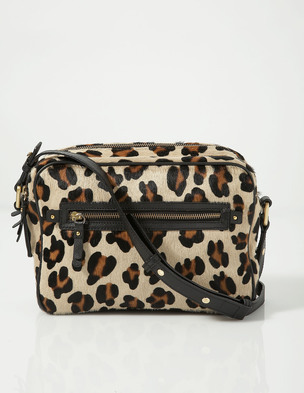 I've certainly been eyeing up this Bet-tastic bag as soon as the SS14 catalogue landing on my doorstep but have kept telling myself that despite not owning a cross body leopard print bag (I mean really such a useful accessory) I really didn't need it......but with 40% off I have to at least try it...in fact I'll admit to doing a secret jig at the thought that this baby had been reduced by the full 40%....come to mama!!! 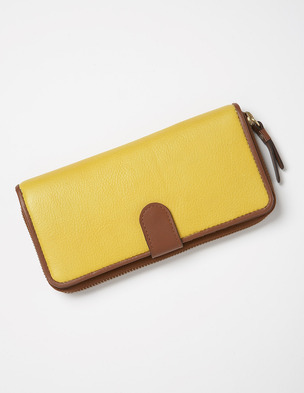 I'm also loving this yellow & tan wallet too. I personally love the larger size purse as it always look super stylish if you can't be bothered to lug your hand bag around with you but need the bare essentials such as your credit card!!!! 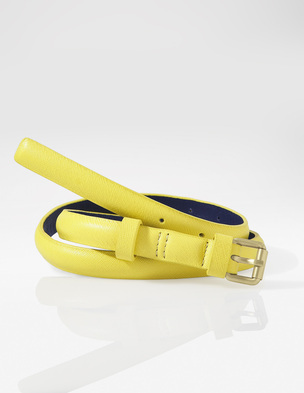 I'm also loving their super skinny belt & if you're loving the injection of yellow that seems to be everywhere at the moment but unsure about whether the colour loves you, how about starting off with one of these. A great way of adding a pop of colour & embracing the latest trend without scaring yourself if you're not used to such bright colours. 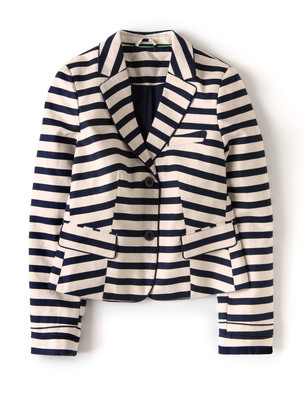 Of course you can never in my eyes go wrong with a blazer or two & I'm loving this navy & cream striped one. Great for dressing up or down....in fact I'm visualising the yellow belt with the cross leopard print bag & some distressed boyfriends.....how cool would that look....oh oh this post could prove lethal!!! I've also had my eye on this next item since the release of their SS14 catalogue, gorgeous colours for teaming with denim or navy & would look great worn on it's own with a statement necklace....I'm thinking chunky pearls or even a denim shirt underneath. 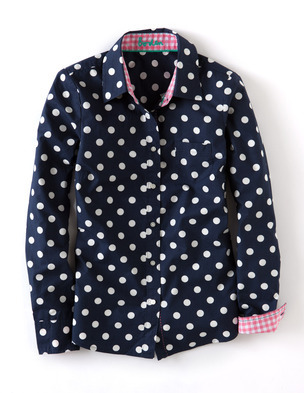 Another trend that seems to be everywhere at the moment is spots. Now I've yet to try this look but I'm loving the look of this navy shirt with the gingham turned back cuff to just add that extra element of interest. 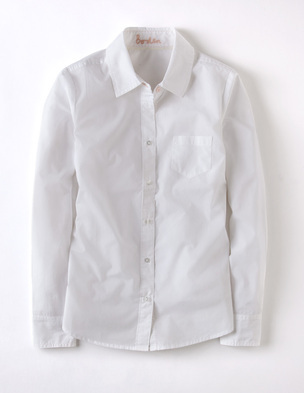 One of the things I love about a Boden sale is that its a great time to invest in some key classic pieces for your wardrobe & what better than a classic white shirt. A real wardrobe staple & I must admit this one looks perfect for dressing up or down. 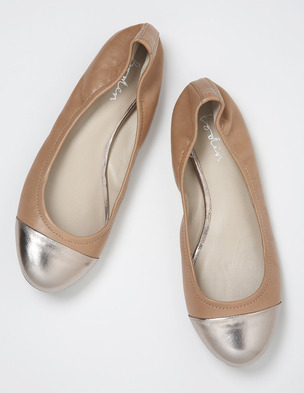 Moving onto shoes & these tan & metallic ballet pumps would also be great classic investments. 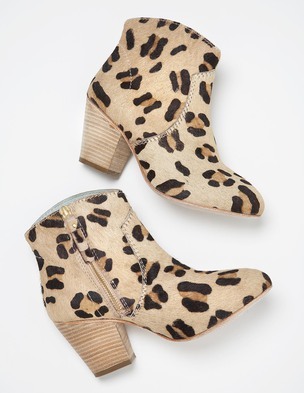 Not to mention these leopard print boots. I honestly don't know what I'd do without my leopard print accessories, which are just fab for adding a bit of interest to plainer outfits. If however, you don't have a leopard print hole then what about a grey one? 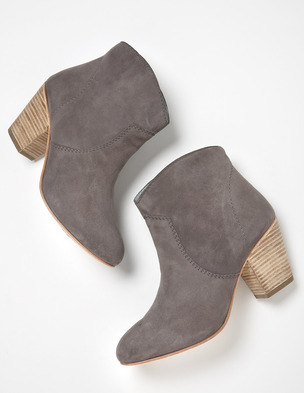 These grey ankle boots look the most perfect shade of grey. 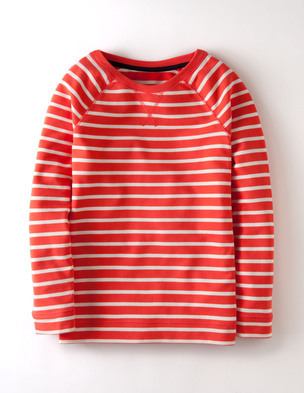 And finally I don't think you can EVER own enough stripes & a stripy sweatshirt has to be the perfect all round addition. Loving it in the classic navy & cream shade. And equally loving it in the red and beige too! So many temptations to choose, that my halo has well & truly deserted me & I'm now having to remind myself that having spent the other weekend giving my wardrobe a major overhaul & announcing to hubby that I was going to impose a new 'rule' (said in extremely loose terms of course ;-) ) for every new thing in I'd get rid of something.....I'm wondering if I could say that this rule doesn't start to the beginning of the month?!!! Finally here's my outfit for today. My new Topshop denim dress, which I wore for the first time the other day (see here) & have been dying to pop on again as it was so easy & comfy to wear. Today I've teamed it with some grey opaques & navy ankle boots & added my a grey & cream print scarf to tie in the tights with a splash of colour from my Zara bag. Here's how to re-create my look. So what do you think? Have you had your eye on a certain something & now it's reduced in the Boden sale tempted to click the button or perhaps you've recently brought something full price only to see it heavily reduced in the sale......don't you just HATE it when that happens!!! FABULOUS photo of you Jane - your hair looks amazing, are you growing it? Thanks Fiona...yes I've grown it slightly don't think I'll grow it much longer though! 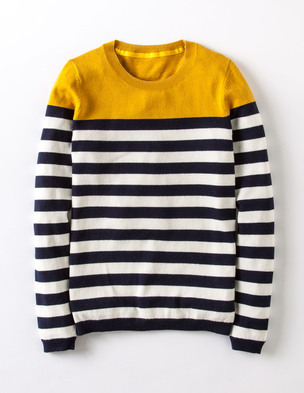 I'm super excited too Sian...having been told there was a waiting time of a week I've now had an email saying it's been despatched :-) Are the stripy sweatshirts as lovely as they look? I've very tempted but trying to be good! As for the picture I'm getting braver!!! Yay Sian I'm hoping mine arrives today!!! I'm very tempted by the sweatshirts I must admit - all three colours look fab! Thanks Lynne, sounds like you've got a fab haul coming your way....are these ready for your holiday?!! Thanks Helen & looking forward to seeing what you've brought from Gap...I've yet to hit there!!! Thanks Michelle, a Boden sale is always worth investigating as you can usually pick up a great deal or two!! 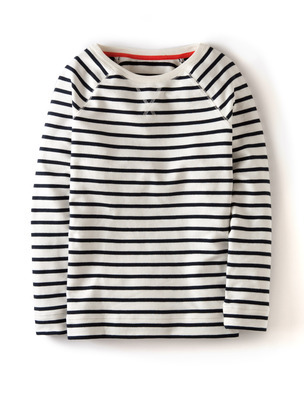 I had my eye on the Breton tunic but it's only reduced by 10% - not enough to tempt me unfortunately! Hi you're right 10% isn't enough temptation unless you were going to buy it anyway....fingers crossed the tunic gets reduced further all a new discount code pings it's way across soon! Hi Carmel thanks for your lovely comment :-) I know the M&S boots were selling quick but hadn't realised they'd completely sold out :-( Although you might get lucky & some getting returned - if you're like me I'd check several times a day!!! Have you tried in store too? I bet you didn't stay cross too long with your dog especially once he/she looked at you with their adorable eyes, I'm a complete sucker!!! Hope you got some fab bargains at Boden. Ahh thanks Evy.....my tights are grey but they have a bit of a blue tinge to them if that makes sense. I got them about 12 months ago from M&S. Oh no Evy that's pants :-( It might be worth trying a 10 on though as it's quite a loose fit. I'll keep my fingers & toes crossed for you. I'm also soooo tempted by those grey boho boots Andrea, but I'm trying to be good!!! !